Buzzards Bay Area Habitat for Humanity (BBAHFH) invites you to be a part of its first home build in Mattapoisett! The non-profit group is excited to share that it will be building its first Mattapoisett home, thanks to the generosity of David and Jessica Nicolosi, who donated a piece of land to Habitat. Because of the wonderful donation, Habitat for Humanity will be able to make the dream of homeownership come true for another local family. BBAHFH is currently in the planning stages of the build. The design will be an Energy Star rated 3 to 4 bedroom cottage-style home that will blend in with the town’s character. Materials used will also help keep maintenance costs low for the future homeowner. Habitat is assembling a team of volunteers who are interested in helping a local family build their new home. They are looking for professional/skilled builders that would like to donate their time and expertise to the build, and site leaders who are experienced in a particular aspect of construction and are willing to work with a group of volunteers for one or more days. Subcontractors and materials are also needed for site clearing, excavation and foundation work, insulation, gutters, roofing, windows, siding, plumbing/heating/gas, electrical, drywall, painting, flooring, cabinetry/countertops, and more. Also, volunteers willing to help with the planning of the build, and acquisition of materials, are needed on the Build Committee. Please call 508-758-4517 or email BuzzardsBayAreaHabitat@yahoo.com to discuss how you, your company, or your group can make a difference for a local family in need of housing that is affordable. Habitat encourages locals to join in their mission to bring people together to build homes, communi­ties and hope. Habitat homes are built with a community of kindness. To become part of Habitat for Humanity’s vision where everyone has a decent place to live in our community, please consider giving your time, materials, or monetary donations to support the build. All donations to Habitat are tax deductible. To make a donation, please visit www.BuzzardsBayHabitat.org or call the office at 508-758-4517. Homeownership applications will be available soon. To learn more about the Family Selection process, please visit http://www.buzzardsbayhabitat.org/homeownership. To receive an application when they become available, please visit http://www.buzzardsbayhabitat.org/ volunteer and fill out the Volunteer form and include a note that you are interested in learning more about the home application process. Buzzards Bay Area Habitat for Humanity (BBAHFH) became an affiliate of Habitat for Humanity International in December 1996, encompassing the towns of Acush­net, Fairhaven, Marion, Mattapoisett, Rochester, Wareham, New Bedford, Dartmouth and Westport. Donations of money, materials, and land, as well as volunteer labor, enable BBAHFH, a not-for-profit organization, to build homes for local families in need. The completed homes are sold to qualified families at an affordable price under a no-profit, low-interest loan. The loan payments are reinvested into the affiliate enabling them to build additional Habitat homes and complete Brush with Kindness projects. All land, material, and monetary donations to Habitat are tax deductible. 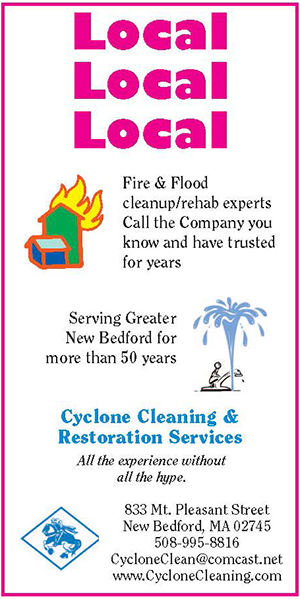 For more information or to volunteer, visit www.BuzzardsBayHabitat.org or call the office at 508-758-4517.